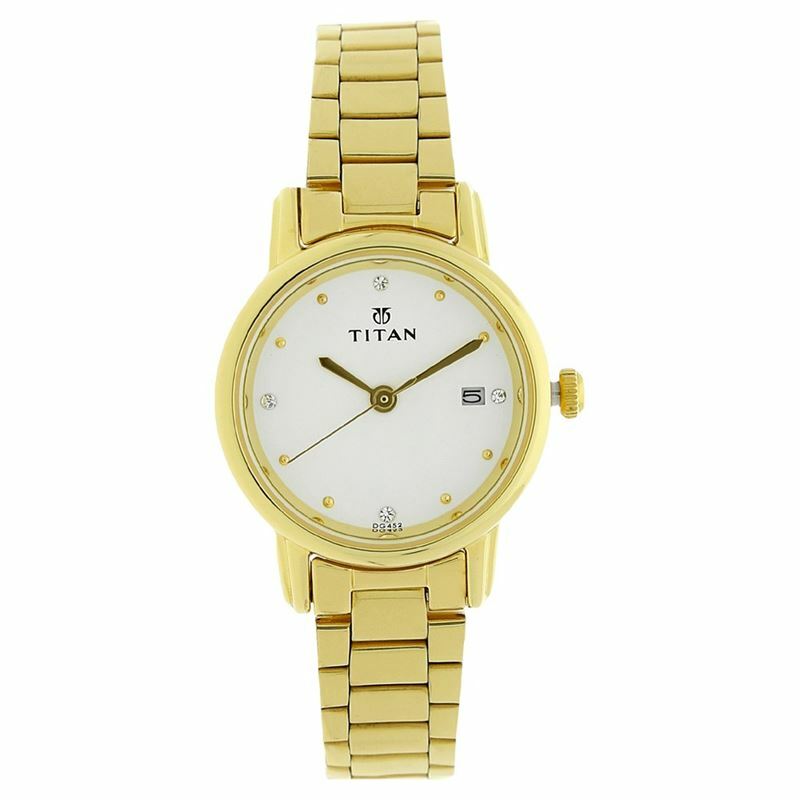 This Titan Karishma watch features a Swarovski crystal studded pearl white dial which comes with date function. The watch has a perfect round case with patterned lugs. The projected golden colour semicircle indices add to the beauty fo this stylish masterpiece. The watch features a two level golden case in a glossy finish. The elegant golden colour stainless steel strap gives the watch the special look. A must have essential for every woman.